(Not) Just Another Mom of Twins: I'm not here today. Nope. I'm not. I'm not here today. Nope. I'm not. 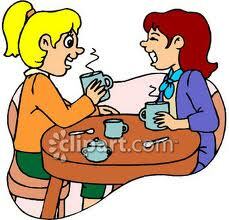 I was invited for "coffee and a chat" over at Melissa's house blog. I invite you to "click on over" to MaMe Musings (Click Here to Get THERE!) to get in on the conversation. The Coffee is on and the company is worth the "click"...I promise! I'm your newest follower from MaMe Musing. Great post. I'm Getting My Craft On! Weight Watchers...My 7 Day Journey! Come Meet The Scrappin' Mountain Ladies! Where's Waldo? I Mean Ginger!?!? !